Who better than the World Champion of Public Speaking himself to promote Toastmasters? That is what Mohammed Qahtani did on 20 May 2016 at CreativeMornings, a monthly breakfast talk for the creative community in Brussels. As a partner of CreativeMornings Brussels, our Division assists the event in coaching its speakers. Mohammed accepted the challenge of delivering a 2 minute pitch that instantly energised the audience — at 9:30 in the morning! He explained how feedback is at the core of Toastmasters meetings, how joining Toastmasters has changed his life and how it could change the lives of the creative people in the audience. Afterwards, people came to meet this very special guest and wanted to know more about Toastmasters. 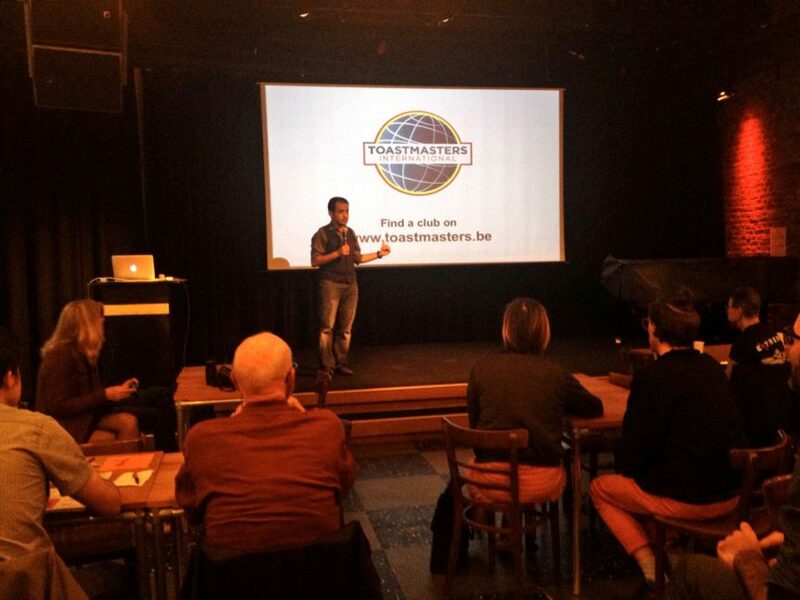 Brussels clubs, be prepared to welcome new members who are eager to improve their creative talks!